Let’s put the fun in funding by keeping it mercifully brief. A round-up of key events. Featuring Tala, Nymbus and Monzo. 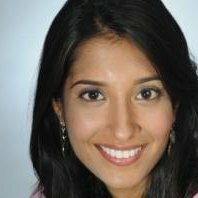 US micro-loan start-up Tala (formerly InVenture), led by founder and CEO Shivani Siroya, has raised $30 million in Series B funding. The money will support its expansion plans in South Asia and Latin America. Through its financial platform, Tala collects thousands of data points per customer to build a real-time credit score, determine loan terms, and disburse loans in “less than a minute”. About one-third of Tala’s borrowers are women. Staying in the States, core banking software start-up Nymbus has secured $16 million in a funding round led by Home Credit Group. This follows a $12 million funding round six months ago. Nymbus’ SmartCore is a brand new core banking system, brought to market in 2015. It is aimed at the domestic credit unions and community banks. The vendor is keen to take on the well-entrenched, traditional players in the US market, such as FIS, Fiserv, Jack Henry and D+H Corporation. Over in the UK, mobile-only challenger bank Monzo has agreed a new £19.5 million investment round with Thrive Capital, Passion Capital and Orange Digital Ventures. It will use this money to launch current accounts this summer and expand its team further. Last year its community invested £1 million in Monzo in the “fastest crowdfunding round in history”. Monzo has reserved a further £2.5 million for its community, who can invest at the same valuation as Thrive, Passion, and Orange and take the total raise to £22 million. On 28 February it will begin a pre-registration period lasting two weeks for people to pledge the amount they’d like to invest. But user numbers did treble for UK mobile-only challenger. Pennsylvania's Inspire Federal Credit Union is now live with its solutions.